This stunning weatherboard family home has a total of six bedrooms and four bathrooms. 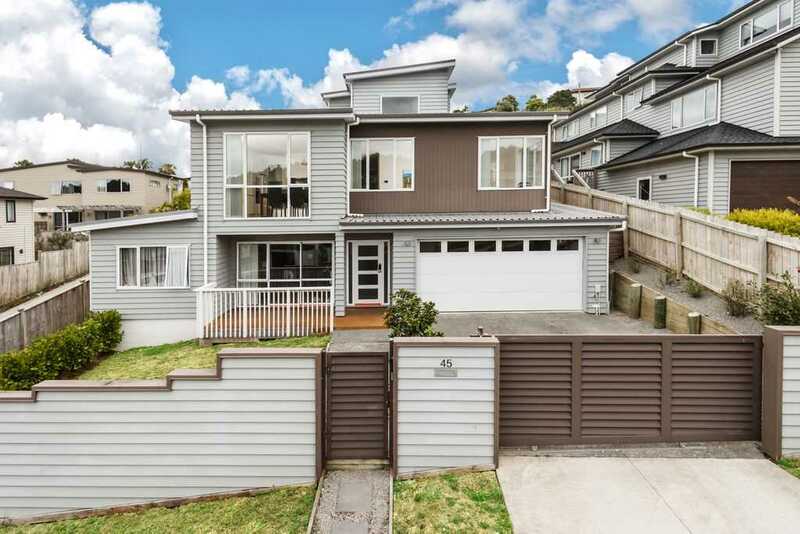 The property is set on 507m2 (more or less) and has three levels. There is a double garage & off-street parking on this fully fenced home. The first level consists of a potential granny flat that has two bedrooms, a living area and a bathroom with its own separate entrance. Which is great if you have a large family or a perfect way to have a home & income. On the second level there are three bedrooms all with spacious wardrobes and two of them connect onto the large decking area. The modern kitchen is open plan with Bosch appliances and a separate cooking area/butlers pantry, the kitchen connects to the open plan living and dining area. The living area then connects onto the large decking area and tidy, low maintenance lawns! The third level of this large weatherboard home is the master bedroom, this room has a large walk in robe, an ensuite with a double vanity & spacious shower. The master bedroom also has space in this for a study. The home has great features such as a vacuum system, video intercom, and electric gate. This property is located in Albany Heights being near Albany shopping centre, and top decile schools such as Albany Senior & Albany Junior. Saturday 27 Apr 12:30 p.m. - 1:00 p.m.